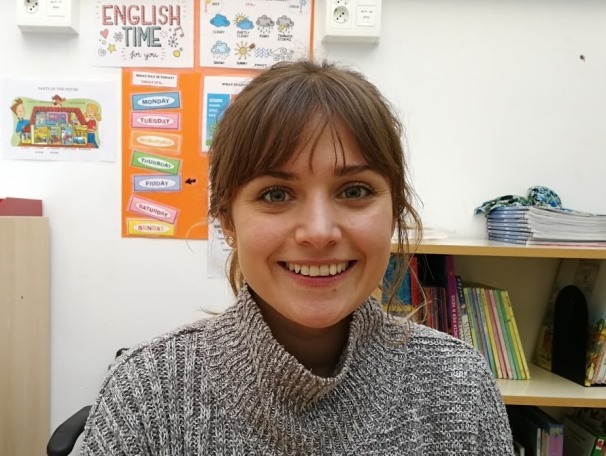 The CS pupils have interviewed Charlotte, our new conversation assistant! I live in Tring (Hertfordshire) in the south of England, near London. Yes, it’s very pretty and the people are very friendly. Have you got brothers or sisters? Yes, I have an older brother called James. Has James got a daughter? Gnocci with roasted vegetables and tomato sauce. What time do you have breakfast, lunch and dinner? We have a big breakfast from 7 to 8, a light lunch from 12 to 1 and a big dinner at 6 o’clock. Do you eat anything between meals? We drink lots of tea and we have a snack al 10 and at 1 (usually fruit) and supper at 8. Supper is a light snack, usually cereals or biscuits.